Lisa Raynes is on a mission to create a network of small architecture practices and help solo architects thrive in their profession. Pride Road founder Lisa Raynes plans to create a network of sole practitioner practices across by North of England by inviting architects returning to work or looking to set up their own business to copy her own successful small practice model. Pride Road exclusively designs domestic projects. Over six years Lisa has developed a business that has proved highly successful in converting homeowner prospects into clients, generating a steady stream of £30k to £150K residential projects. But the business model has also been developed to suit her own lifestyle as a mother of three, a model she thinks will appeal to many architects who want to be in control of their own work-life balance, but who would welcome guaranteed business support to give them the confidence to take the plunge. The opportunity is relevant to women in the profession, she explains. “We talk a lot about gender disparity in our profession and how challenging it is for women who want to work and raise children, but not much is being done to address these issues” says Lisa. “However, the opportunity is aimed both at men and women equally”. The Pride Road franchise provides branding and marketing strategy, back office systems and training in Pride Road’s tried and tested approach to working with clients to arrive at the best design solution. ‘I have learned by experience how to convert prospects into clients and then manage their expectations. I approach each job as four stages: a concept design workshop, planning, building and a tender,’ says Lisa. 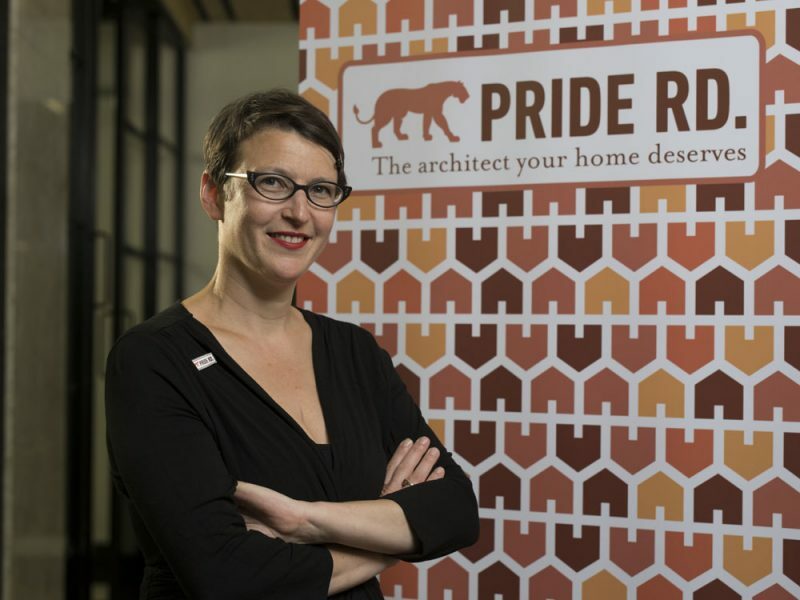 Lisa operates in South Manchester and has already successfully piloted her first Pride Road franchise in Liverpool, run by architect and mother Magdalena Haener. The plan is to establish two further Pride Road franchises in the immediate future, and then roll out the model across target areas across the North. Target areas for Pride Road franchises are: Chester, Preston, Blackburn, Stoke-on-Trent, Sheffield, Leeds, Derbyshire, Wrexham, Flintshire, Southport.